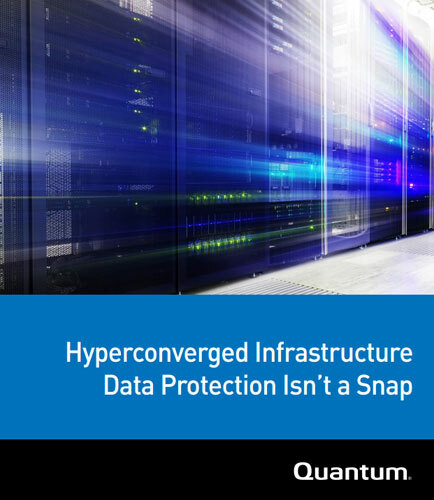 "Data protection for Hyper-Converged Infrastructure"
Hyper Converged Infrastructures (HCI) brings non-disruptive scaling, reduced complexity, and other benefits, but it requires a stronger data-protection strategy because hyper convergence brings new vulnerabilities. Hyper converged systems are a perfect target-one unique system to encrypt with a built-in replication to spread the malware. For smaller companies with relatively few virtual machines (VMs), a Hyper Converged Infrastructure solution may be the only architecture their data center needs, providing the ultimate simplification. Some critical applications can also be hosted on an HCI, but designing an HCI to meet performance service-level agreements (SLAs) might be challenging compared to designing a more traditional infrastructure. This whitepaper provides insights on data protection basics and its role in Hyper Converged Infrastructure projects. It also explains about how designing an HCI to meet performance service-level agreements (SLAs) might be challenging.